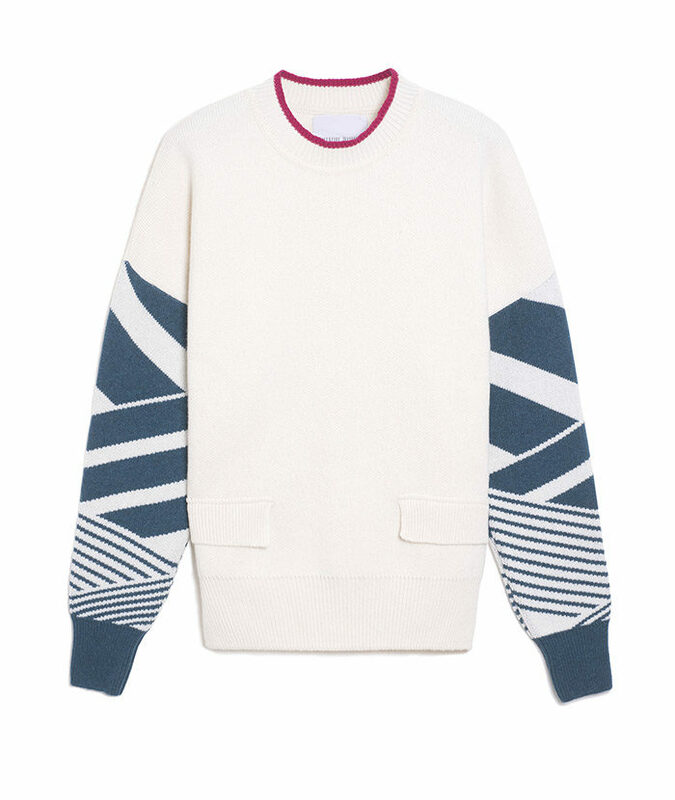 Imbalanced and eye-catching sleeves were one of the leading inspirations of past seasons. The controversial and detailed sleeves have been reworked in an unstructured pattern. This crew-neck is spun from a blend of cashmere and virgin wool that gives this jacquard-knit an extremely warm and soft touch.